I’ll leave you with this thought for the weekend. 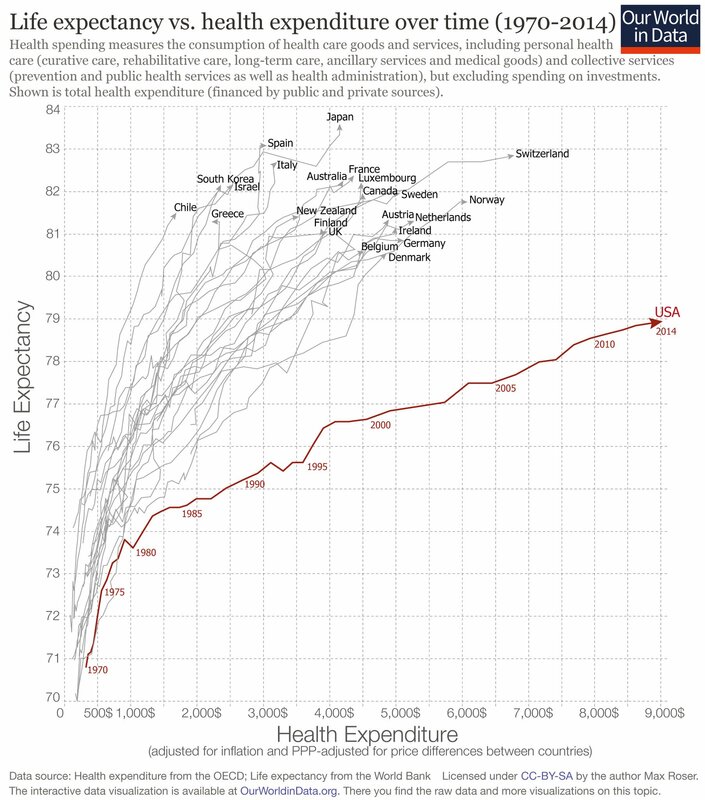 You can easily see that US health costs per capita are way, way, way out of whack with the rest of the world. And, the life expectancy we get for it is years worse than the countries that cost 2-3x less. Some will argue bitterly that the facts aren’t relevant, or a hundred other arguments. I’ve lost interest in those arguments, because they’re all about rationale, and no rationale is worth a damn if the outcomes they’re trying to explain don’t match the rationale. Original post here was June 2013. Or, jump to the Nov 2015 update below. I’ve blogged several times about the greatest truth I’ve learned about the business of medicine. 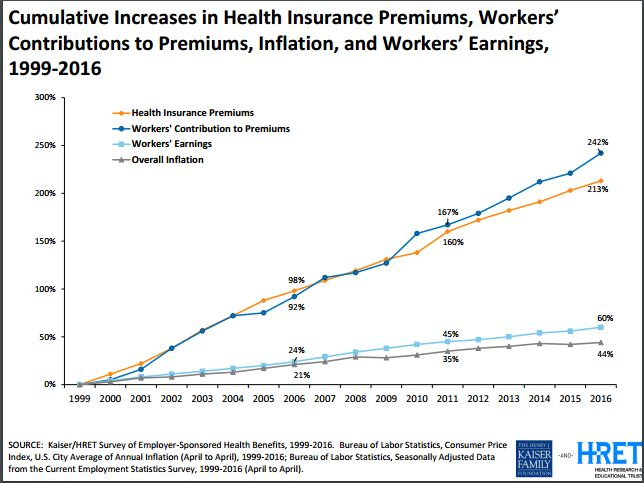 It’s the title of a 2006 Health Affairs article by Princeton economist Uwe Reinhardt: The Pricing of US Hospital Services: Chaos, Behind a Veil of Secrecy. The cost chart at right shows what’s happened since Reinhardt’s paper appeared, in the middle of the chart. It’s what you’d expect if slush is flowing around with nobody watching. Last week I got my annual checkup. There were two separate problems in my hospital’s appointment system, so I ended up leaving too late to get the simple lab work my doctor had ordered; I said I’d get it done at a local lab. Today I visited AnyLabTestNow, a chain with a local office. I called ahead, and for walk-in self-pay, it’s $49 for the chemistry panel I needed (Calcium, CO2, etc) and $49 for the cholesterol, total $98. And a $10 off coupon, on the site! Just $88. 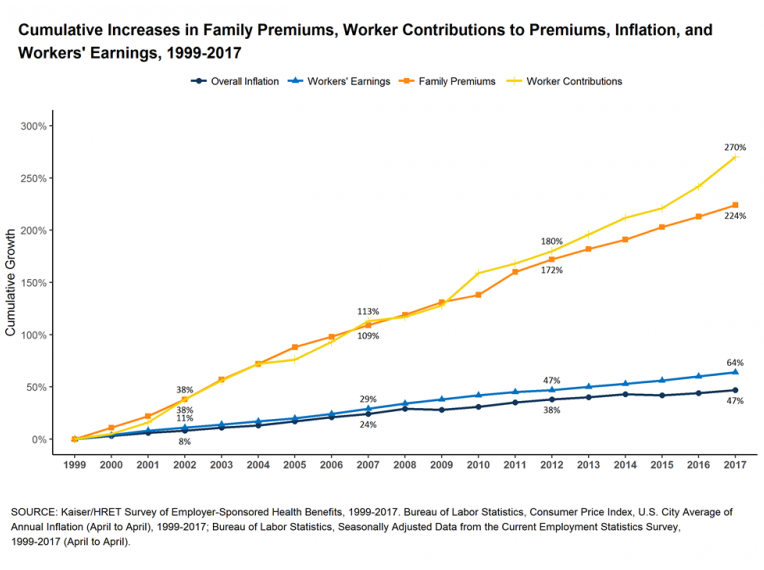 Here’s the next episode in what I’m starting to call “The Big Ugly” – a wave of suffering that will happen as the medical industry contracts, and everyone tries to find ways to maintain their income. Unfortunately when an industry shrinks, everyone can’t maintain the same income. As anyone knows who’s seen an industry die (like mine, typesetting; or steel in America, or what Detroit went through), it’s painful. Good people get hurt, and organizations fight for survival. Medicine’s certainly not going to die – we need it – but the Institute of Medicine says (see links below) we have massive overspending, and when the overspending shrinks, that too will hurt. Patients, angered by surprise surcharges that hospitals tack on bills for doctor visits, are increasingly challenging these fees — sometimes even refusing to pay. Watch for more stories of overhead charges, and more, as organizations gasp for air, and ask consumers to bear the burden. See other stories in the links below, like the chain that put its E.R. docs on quota.